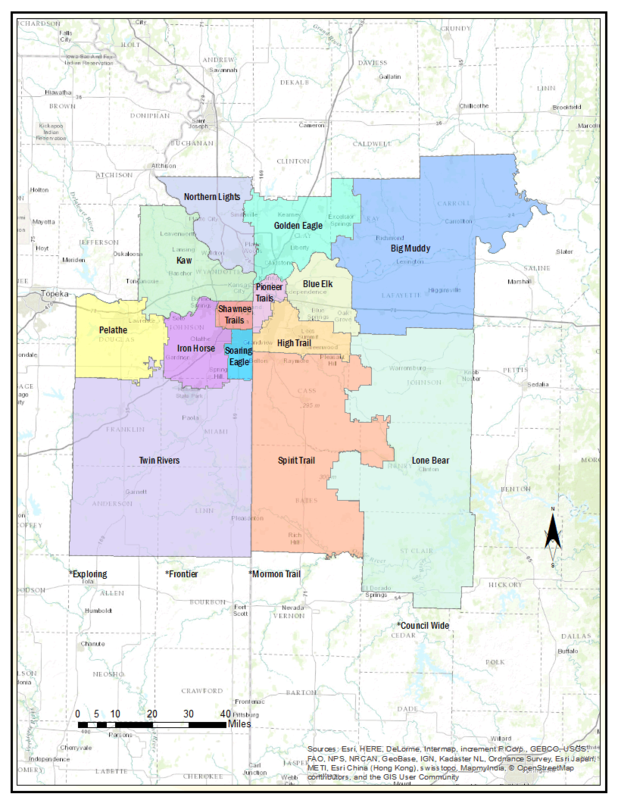 The Mormon Trail District is not a geographical district. All LDS are units in the Mormon Trail District. Serves the Belton, Raymore-Peculiar, Pleasant Hill, Strasburg, East Lynn, Harrisonville, Midway, Drexel, Cass County R-V, Sherwood-Cass, Miami, Adrian, Ballard, Butler, Hudson, and Rich Hill school districts.